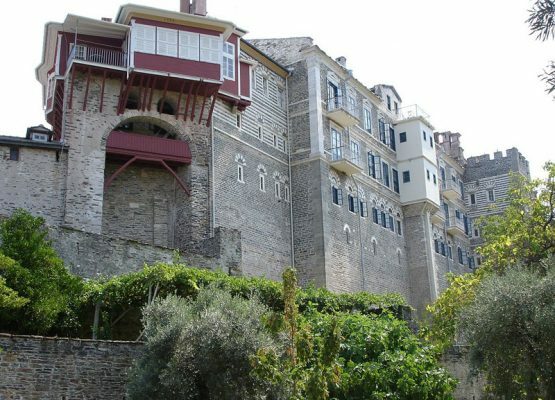 The Katholicon is built in the early 18th c. and has no frescoes. In the old Katholicon, there are remarkable frescoes of the Cretan painter Antonius (1544) as well as the wooden-curved templum of the 17th c. The monastery possesses 14 chapels, 8 of which are inside the monastery. 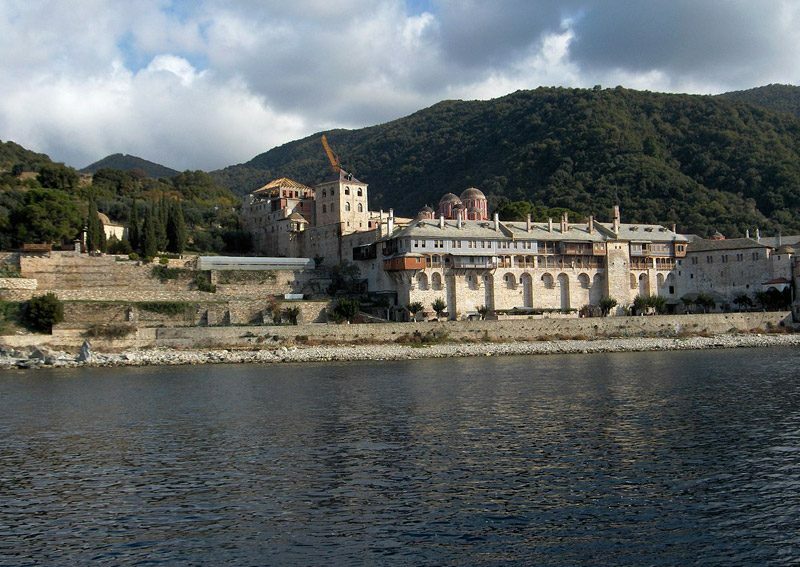 The monastery is mentioned for the first time in the last quarter of the 11th c. Its period of prosperity is interrupted by the fall of Constantinople. 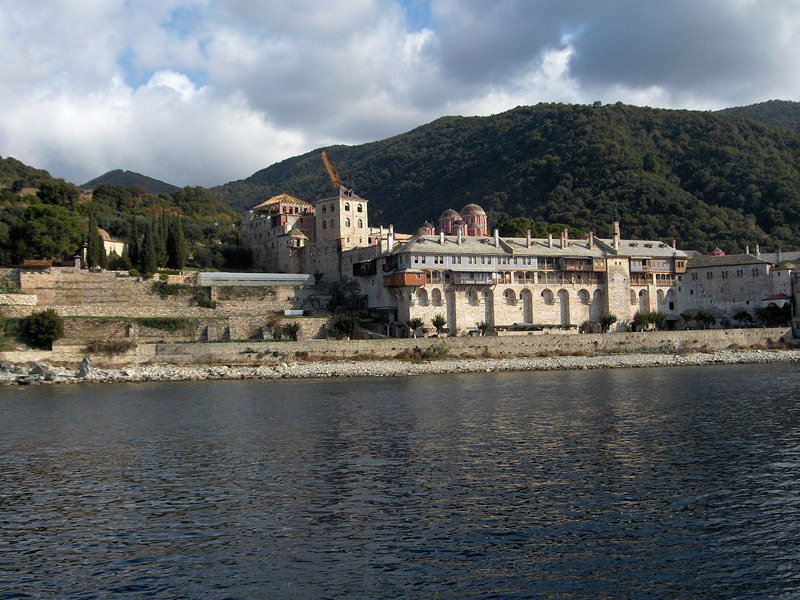 Afterwards, the monastery is alternatively destroyed and rebuilt with the financial aid from the rulers of eastern Europe. 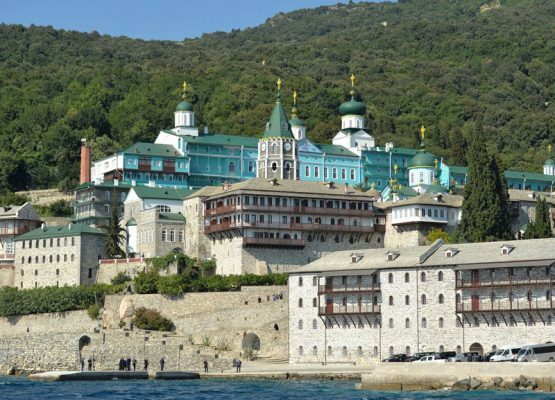 Among the heirlooms of the monastery, the most prized are the two mosaic icons with the Transfiguration of Christ, ecclesiastical vessels and others. In the library there are 300 manuscripts, various documents and over 4,000 books. 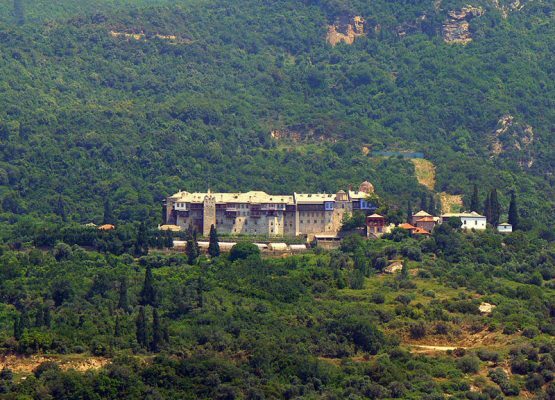 The monastery is inhabited by a brotherhood of 35 monks.